Is there anything more exciting in sports then a game 7? One game for the chance to advance or win a championship--very few events live up to the hype like a game 7. The NHL playoffs are considered some of the most intense sporting events around and a game 7 only make them that more crazy. After four pivotal game 7's in last year's Stanley Cup playoffs, this year, there is the possibility of 3 in the opening round alone (Devils v Panthers pending). With the excitement and energy of these must-win games also comes a heavy price tag. 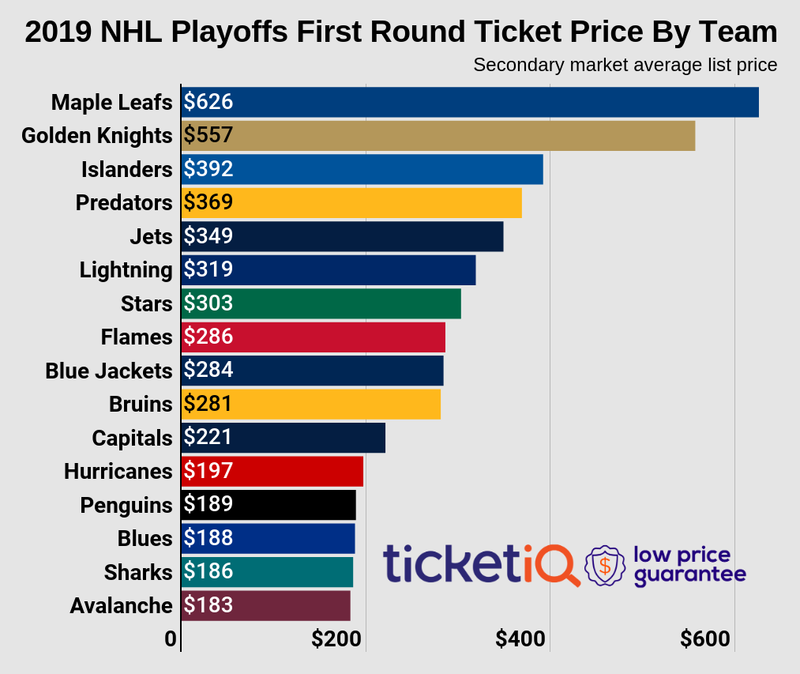 Last year, the average price of the four game 7's was $302.50, with the Vancouver vs. Chicago series commanding the highest average price at $430 per seat . 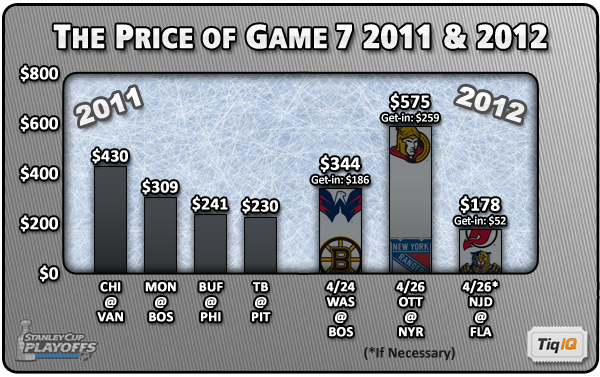 This season, the price tag for the two already scheduled game 7's is even higher with an average ticket price of $365.67, 20.88% higher than in 2011. This is mainly driven by the sky-high average ticket price for the Sens @ Rangers game at Madison Square Garden, which is currently $575.